Like this checklist? 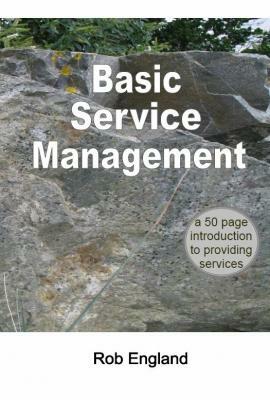 see the book Basic Service Management for more good service advice. Pull up one of these checklists when you need it. Anyone may refer to them for free or print a copy. A checklist used during a single procedure is called a READ-DO checklist: read out an item, do it, check it off. A checklist used at a point in time or "pause point" in a procedure is a DO-CONFIRM checklist: do what you need to do, then pause to confirm them all on the checklist. If you register, then the checkboxes become active - check them off as you go - and it will save your progress on the checklist for when you come back later (but you can only have one copy of any checklist, for now). Please respect our copyright on these checklists. You may distribute them freely within your own organisation, but note that the smart thing to do is to distribute only the link and access the latest version on demand as you need them, as we want to see these checklists improve over time through input from you the users. These checklists are inspired by the book The Checklist Manifesto by Atul Gawande. - and the service as delivered meets Service Level Requirements as designed. Knowledge transfer has happened from the project into production support (level 1 and 2). Underpinning Contracts comply with the SLAs agreed with the business. To learn more about operational readiness, read the little 50-page book Basic Service Management.